For the uninitiated, Dubai is a glitzy city with towering skyscrapers (think: the Burj Khalifa and the Burj Al Arab Jumeirah), massive malls with fully-functioning aquariums, and its culinary offerings. While all of that makes up the essence of Dubai, there is more to the UAE city. The cosmopolitan, built in the middle of the desert, is surrounded by some of the most beautiful landscapes. Visitors to Dubai can experience it themselves at the Dubai Desert Conservation Reserve, UAE’s first national park. Taking up a massive 225 square kilometres, or 5% of Dubai’s total land area, the conservation reserve was established in 1997 by Sheikh Mohammed bin Rashid Al Maktoum to protect the country’s native endangered species, desert habitat and Bedouin heritage. A desert adventure is on many people’s bucket lists. Yet, the false assumption that one may need to set aside a few days off their itinerary prevents visitors to Dubai from heading to the Arabian desert. 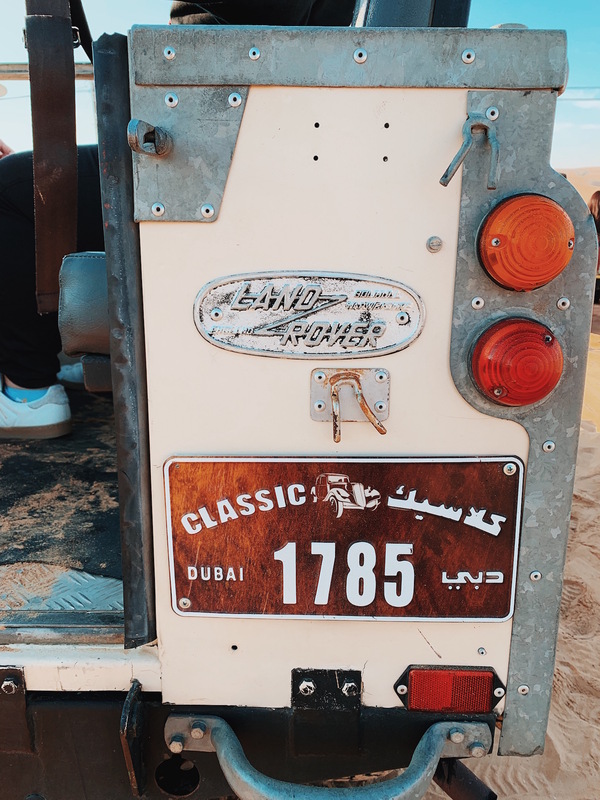 In fact, 48 hours is enough to enjoy an experience of a lifetime — which was what we found out when we visited the city as a guest of Visit Dubai. 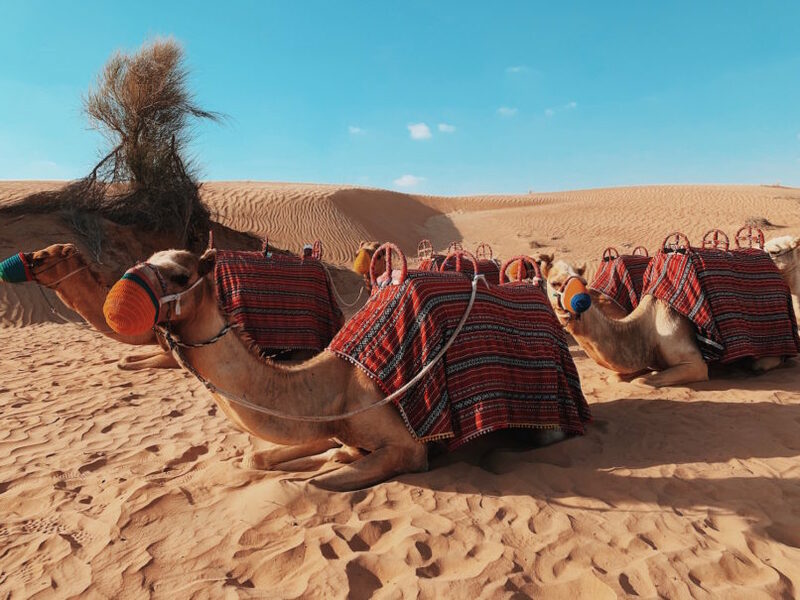 Continue reading to find our recommended itinerary for Dubai’s Arabian Desert. By car, the Dubai Desert Conservation Reserve is less than an hour away from the city centre. Most operators, like Platinum Heritage, will arrange a pick up from your hotel in Dubai. Upon arriving at the entrance of the Dubai Desert Conservation Reserve, visitors can outfit themselves with a scarf to protect themselves from the sun and sand, fill up their water bottles, and transfer to Series 1 Land Rover, which was extensively used in the 1950s and have since become part of the UAE history. From here, you’ll embark on a drive around the conservation reserve in the open-air Land Rover, where you can get up close to the indigenous wildlife. 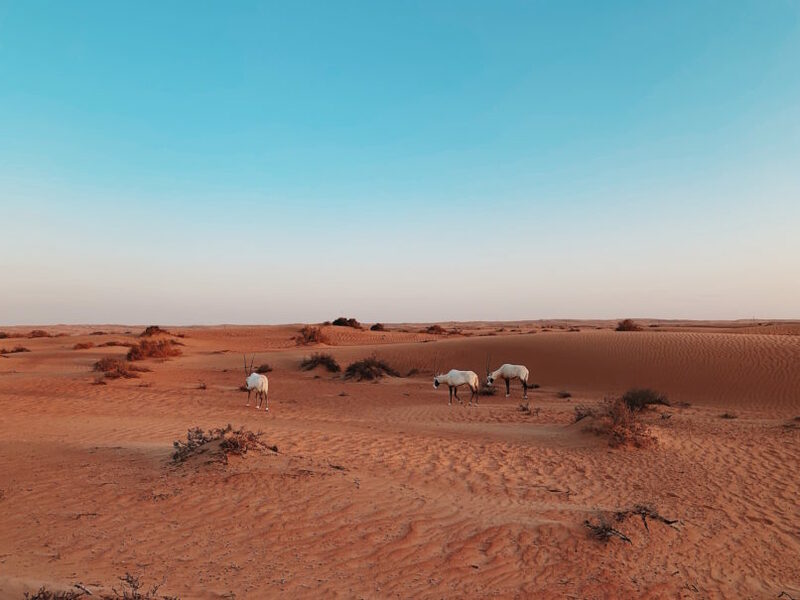 In fact, the Arabian Desert is home to a number of native wildlife, such as the red fox and oryx (which was once classified as extinct in the wild, but has successfully been reintroduced into its natural habitat.) Of course, camels are a common sight here. 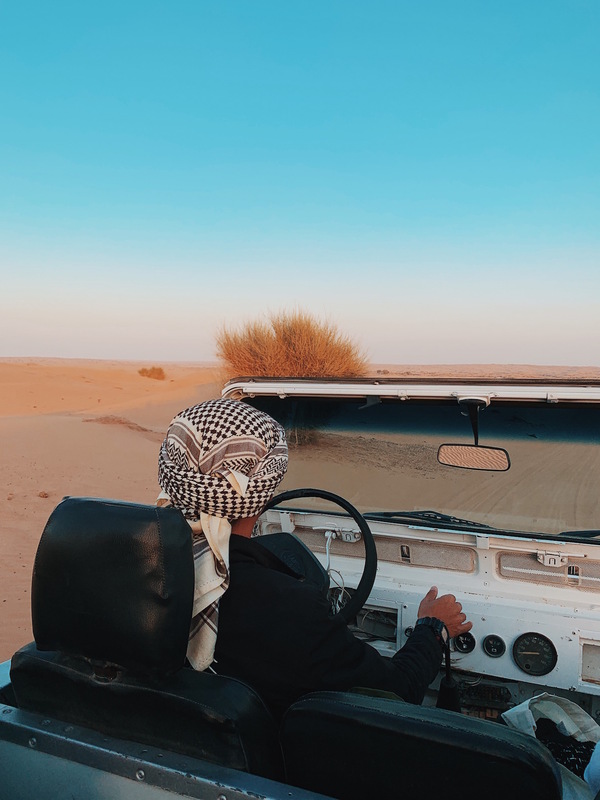 From there, your guide will drive you to Platinum Heritage’s Bedouin-style camp, built out of natural materials like stone, wood and goat hair. If you’re lucky, you might just catch the stunning sunset against the expansive sand dunes from the back of the Rover. The authentic camp, lit with the flames of traditional lamps, is nestled inside a private Royal desert retreat — and is the perfect gateway to experience authentic desert life. 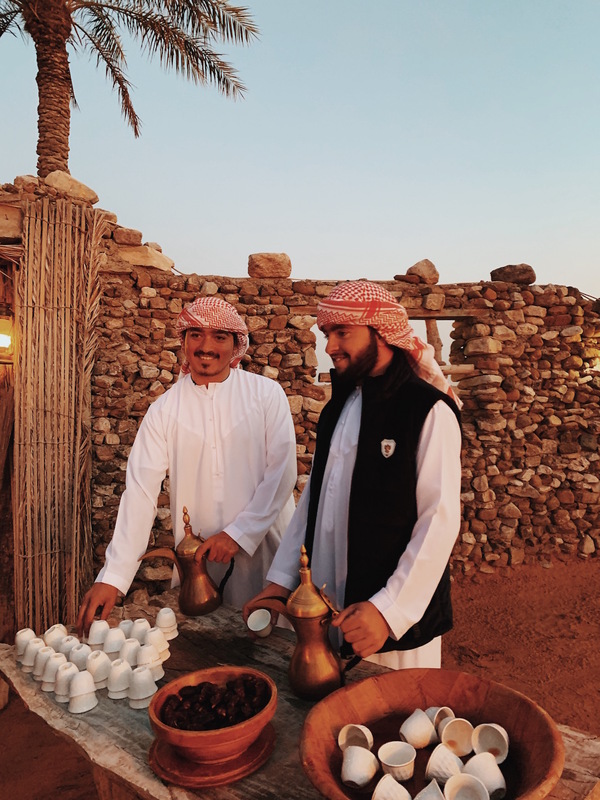 Upon arrival into the camp, you’ll be welcomed with traditional Arabian coffee and dates. Settle into your Bedouin-style rooms, outfitted with , before you take part in the cultural activities: such as henna tatoos, music, traditional dance performances, and bread and Arabic coffee making. Of course, after the long day, you’d probably be famished. Tuck into a scrumptious spread of Emirati cuisine under the stars, from starters such as hummus and Tabbouleh (a salad made from green onions, tomatoes and cucumber, seasoned with fresh lemon and mint juice), to camel meat stew, Lamb Oozi, and Chabab (a yellow Emirati pancake made with flour, eggs, sugar and spices). End the dinner on a sweet note with a date (served before and after meals) or Luqeymat, balls of deep fried pastry covered in date syrup. The lights in Platinum Heritage’s camp are switched off at 10:30pm. You can either choose to sit by the campfire and share stories with your fellow campers while marvelling at the sky full of stars, or enjoy a peaceful night’s sleep. 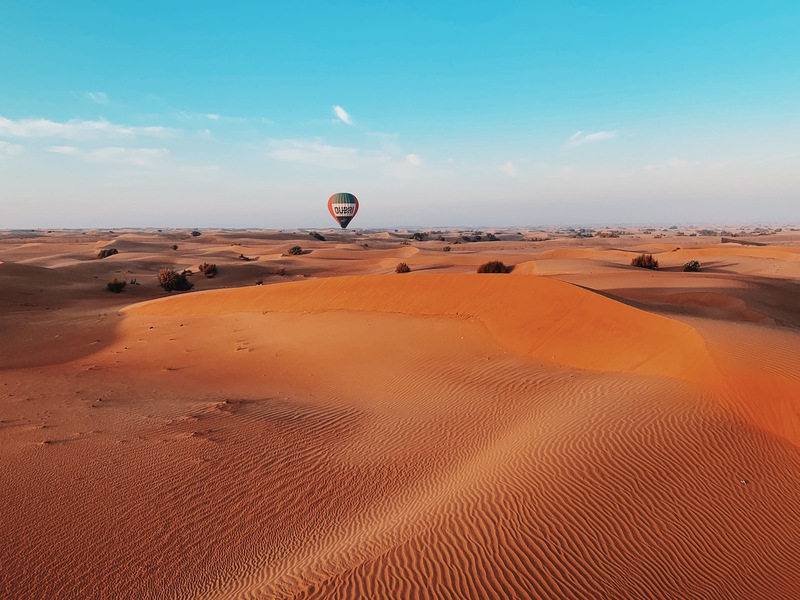 Your next day will start at 4:00am, where you will hop into a Land Rover and head to a hot air balloon adventure with Balloon Adventures Dubai. Watch as the sun rise in the horizon and the surrounding landscapes come alive from a 20-pax hot air balloon. 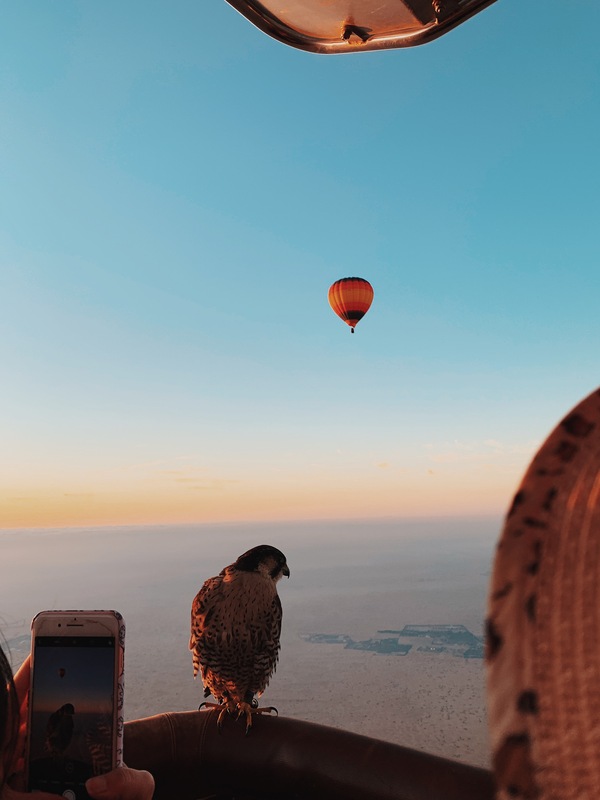 For a more unique experience, combine your hot air balloon ride with a falconry show, with a falcon swooping below, above and around the balloon, demonstrating their speed and agility. 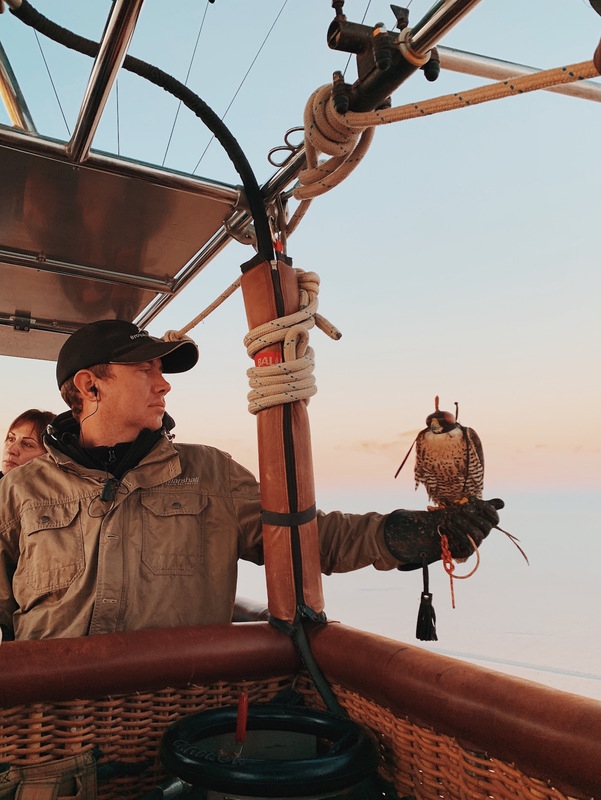 In fact, Dubai was the first place in the world to combine hot air balloon rides with falconry, which has always been an important part of desert life — traditionally used in hunting. These days, it has evolved into a regal sport. 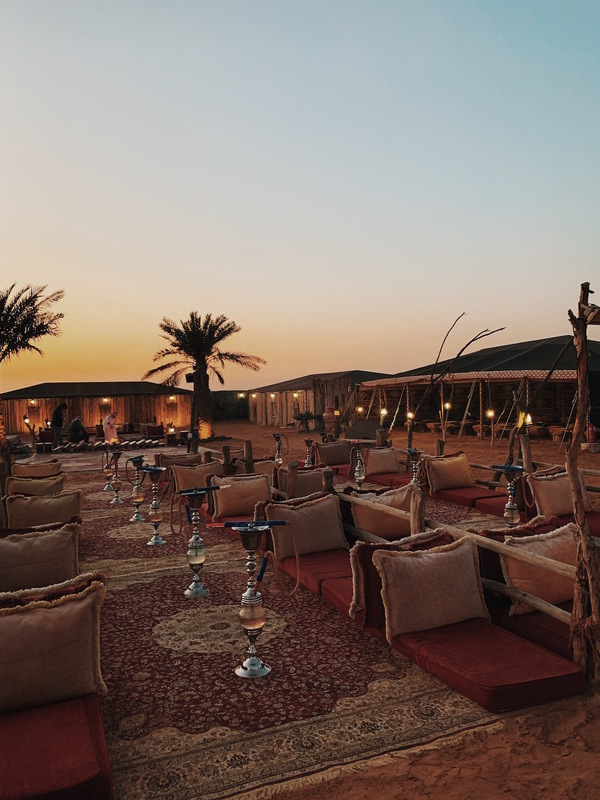 Once your feet touches the ground, you’ll be whisked back to Platinum Heritage’s camp for breakfast, featuring an impressive spread that includes traditional Emirati dishes, as well as Western offerings such as caviar, eggs benedict, and cold cut platters. After breakfast, pack up and head to Al Maha, A Luxury Collection Desert Resort & Spa to experience the best of both worlds. This will be your second accommodation — albeit, in one of the world’s most luxurious desert retreats. 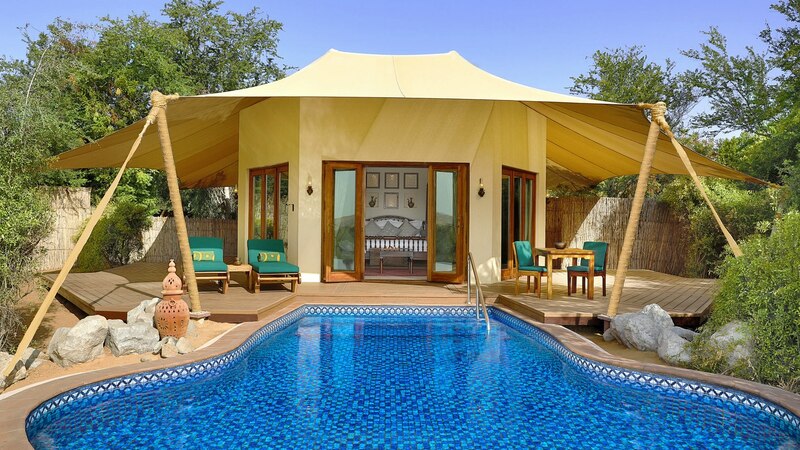 Check yourself into the Bedouin suite, with traditional decor, expansive outdoor terraces, and private pools. For lunch, dine at Al Diwaan, which serves international cuisine on a verandah with sprawling desert views. After which, indulge in a treatment at the Timeless Spa, which boasts a beautiful setting against a tranquil environment. The spa offers treatments that draw on the wisdom of Middle Eastern and Southeast Asian aromatherapy traditions, as well as facilities such a private thermal mud chamber, hydrotherapy baths, a sauna, steam room, cold plunge pool, and whirlpool. 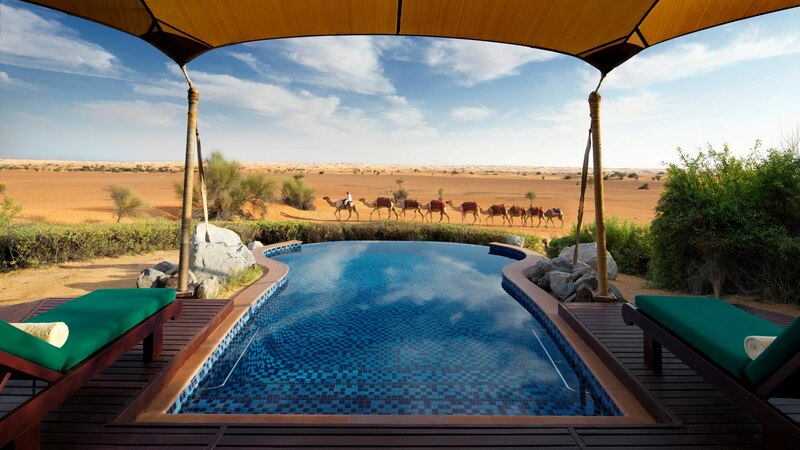 After your rejuvenating treatment, spend the rest of your day animal-spotting from the comfort of your Bedouin suite before heading out for a sundowner from the back of a camel or the Hajar Bar, which boasts a stunning terrace with panoramic views of the desert and the nearby water hole. This should beautifully conclude your 48 hours in the Arabian desert, before you prepare to head back to the city the next morning.